Alessandra Tarissi De Jacobis joined De Berti Jacchia Franchini Forlani in 2017 and was previously partner in Cocuzza & Associati Studio Legale. Before that and after a two year course at the Scuola Notarile Napoletana, she commenced her professional activity working for Studio Legale Lupoi in Rome and, subsequently, at the Milan office of Baker & McKenzie. Alessandra’s work is mainly concentrated on all phases of M&A transactions, from due diligence to closing and post-closing assistance, but it also covers real estate transactions, mainly related to commercial centres/outlets and M&A transactions linked to real estate development. Alessandra has in particular specialized her practice with reference to companies’ Legal protection both before and after a data breach. This includes assisting companies to develop or improve data privacy practices and incident response plans through privacy and security assessments, in order to minimize the impact and risk of a data breach and to put the company in a better position to respond if a breach occurs. 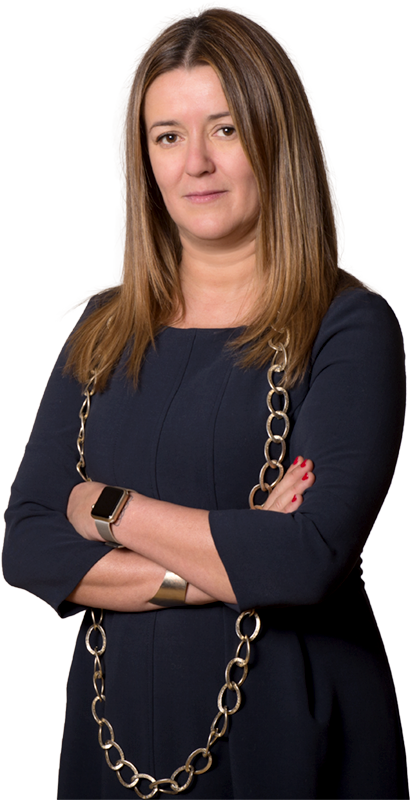 Alessandra has already advised clients in response to breaches, including one of the major companies active in the field of offensive cyber security. Alessandra has also improved her cyber practice by registry dealing with Dual Use legislation. She has also broad expertise in all matters related concerning distribution agreements and software licensing. She has acquired a thorough knowledge of the fashion/retail, automotive and manufacturing industries where most of her clients operate. Fellow of the American Bar Foundation, Alessandra is Vice Chair of the International M&A Joint Venture Committee and Section of International Law (ABA SIL) and has been the ABA SIL Liaison Officer to the Milan Bar Council since 2014. She is also Vice Chair of the International Investments Committee of the Real Property Trust and Estate Section (ABA RPTE) and acted as Chair of the Cross-Border Real Estate Practice Committee in ABA SIL for two years from 2012 to 2014. Alessandra was the first Italian woman President of AIJA (Association Internationale des Jeunes Avocats) in 2011; she has also held numerous other positions in AIJA, including that of Chair of the Human Rights Committee, 2012 – 2014, Chair of the Real Estate Commission of AIJA, 2007 – 2009 and Deputy Chair of the AIJA M & A Committee, 2004 -2007. In 2012 she was awarded the Special Plaque at the 24th Edition of the Marisa Bellisario Award and, more recently, she has also turned her attention to issues arising from the relationships between business and human rights protection. Since 2019 Alessandra is co-chair of the International Committee of the Beverly Hills Bar Association. She speaks at conferences and gives lectures, especially on M&A and real estate issues. De Berti Jacchia Franchini Forlani con i partner Alessandra Tarissi de Jacobis e Matteo Biondetti e il senior associate Francesco De Berti, ha assistito con successo HT S.r.l in un procedimento amministrativo dinanzi all'Arbitration and Mediation Center del World International Property Organization (WIPO) per la riassegnazione del nome a dominio “thehackingteam.com”, secondo quanto previsto dalle Rules for Uniform Domain Name Dispute Resolution Policy redatte dalla Internet Corporation for Assigned Names and Numbers (ICANN). Assisted a foreign client for the acquisition of a Hotel located in a major tourist spot on the west coast in Italy and the choice of the most appropriate vehicle for such purpose. Assisted a foreign client for the termination of a preliminary sale purchase agreement of the shares of a company owning a land suitable for green energy purposes located in Tuscany after having ascertained certain legal pitfalls related to the land and its regulation. Assisted a foreign company in a complex deal involving the renegotiation of an office lease agreement. Assisted an Italian food chain with regards to its real estate/ retail development in Center and North Italy and in USA. Assisted one of the major providers to the printing industry on M&A transaction. Assisting a multinational company in the pharma sector with reference to corporate matters regarding the Italian branch. Assisting one of the major worldwide players in the production and distribution of Software- Defined Storage with reference to corporate matters and License agreement. Assisted a global automotive supplier and a leading manufacturer of on-board networks protection solutions and fluid transfer tubing with reference to corporate and M&A.